A short entry for a V1 edition of a released game that many of us enjoyed growing up. 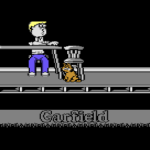 Tucked away on a work disk of Mat Sneap, was this early build of Garfield that shows some of the game with multi-directional scrolling compared to the final game. 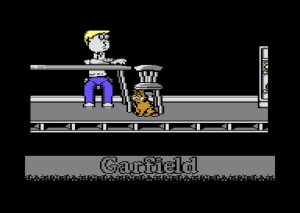 It’s clearly still some way off from being the complete game we all know, but its an interesting curiosity prototype none-the-less to show you. Why was the multi-scrolling dropped for instance? In addition to the preview, is the screen designer tool that was being used to construct all of the game’s map.